After the 2018 Grammy Awards, all eyes are rightfully on Donald Glover. The multifaceted creative is now halfway to earning EGOT status after picking up a Grammy for "Redbone" (Best Traditional R&B Performance), with the musician known as Childish Gambino taking it back to his early days to celebrate. As reported, Gambino will be re-releasing his 2011 mixtape EP in partnership with his creative agency, Wolf + Rothstein and Stem, an inventive distribution platform. The project will be available across all major streaming platforms for the first time ever beginning at midnight (Jan. 31). "Artists should never be in the position where the industry hinders their creative output," Wolf Taylor, Gambino's manager, shared in an exclusive statement to Billboard. "Our goal is to give our artists the ability to release content when and where they want. Partnering with Stem has allowed us to maintain our major label resources while providing us with a platform to independently release our special projects." 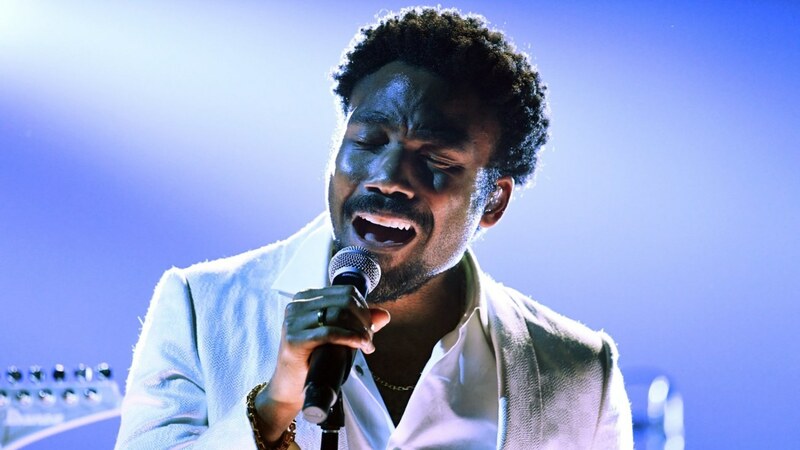 While the news is definitely welcomed by his day one fans especially, others are holding out for what will be his final album under the moniker Childish Gambino, as well as revisiting his intensely emotive performance of "Terrified" during the 60th annual Grammys. Be sure to keep an eye out for EP on your preferred streaming platform later this evening on your streaming platform of choice.